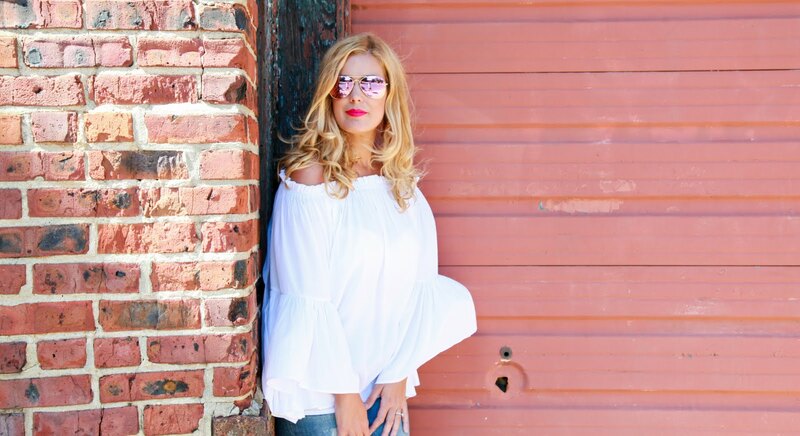 Fashion Maven... Mommy: Easy Everyday Looks With Conair! Easy Everyday Looks With Conair! First, i want to tell you a little about my experience with some of these products. The InfinityPRO 3Q Blow Dryer reduces drying time by up to 70% with lower temperatures and fast airflow to minimize heat damage. You will feel it the second you turn this dryer on. It's so powerful! In fact, i have very thick hair and i dread blow drying it because it takes sooooo long! This beauty dries equivalent to a 2000-watt professional dryer! Yep, take that pro driers! Well, the InfinityPRO 3Q dryer is essentially a life saver because it literally cuts my drying time in half! This is a must-have beauty tool! 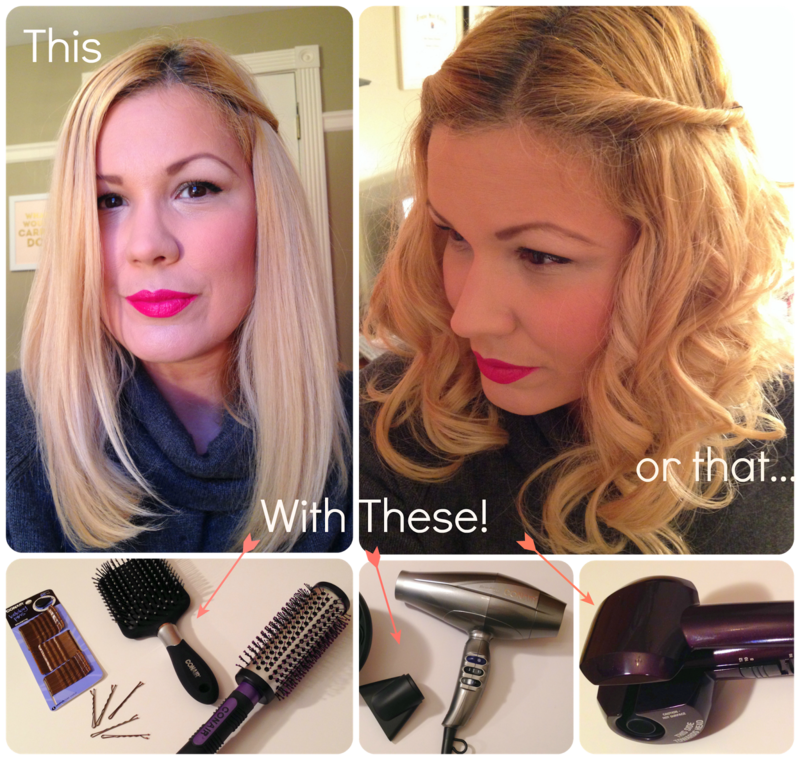 The Conair InfinityPRO Curl Secret Curling Iron is so innovative. I'd been wanting to try it for quite some time now and was so pleased with the results. This device uses tourmaline-ceramic technology to help reduce the amount of frizz, leaving you with smooth hair that is soft to the touch. It conveniently has an automatic shut-off function, as well as a sleep mode function to help preserve energy. The Curl Secret has two heat levels and 3 timer settings with an automatic beep indicator and is ready to use in just 30 seconds. It works by gently drawing the hair into the ceramic barrel, then times it and heats it from all directions to effortlessly form one perfect, shiny curl after another! 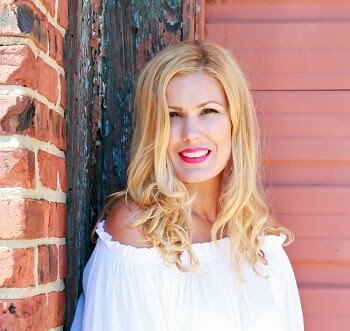 This Curling Iron is very user friendly and gave me some gorgeous locks to play with! Speaking of locks... lets chat about some fun 'everyday' hair style options! First, using your Conair InfinityPRO 3Q Blow Dryer and Professional Round Brush, blow dry your hair straight. Use the round brush to curl your ends in. Once your hair is completely dry, simply grab a small section from either side of the front and pin it back using one or two Conair Bobby Pins. This is a great 'on the go' style for when you want to add just a little something special without all the fuss! Now to turn things up a notch, it's time to curl this baby! Begin by combing your hair thoroughly using your Conair Paddle brush to ensure that your hair is tangle-free. Section the crown portion of your hair into two parts pinning both sections back using your Conair bobby pins. Begin by curling your hair using the Conair InfinityPRO Curl Secret Curling Iron. Take a small portion of hair and begin to curl. Once you've finished curling your hair, you may opt to wear it this way. I personally love it. In fact, i notice that i can go a couple of extra days without washing it when i wear my hair curly versus needing to wash it almost everyday when i wear it straight. That's a major score for me on busy weeks! However, if you're looking to dress the look up a bit, I'm a huge fan of a great 'boho chic' do! Here's my version of this look. Take a small section of hair from the front and begin to twist. Pin it towards the back with a Conair bobby pin. (If your braiding skills are on point, you can swap the twisting for a braid)! So pretty! I think the twist is my favorite look. AND I think my hair is long enough to try it now!